When I heard that Shu Uemura was launching a new liquid foundation, my thoughts immediately went to the Lightbulb franchise… it’s about time a new version came along. However, I was intrigued when I found out the new foundation is in fact completely brand new, and it replaces the older, much-loved Face Architect. 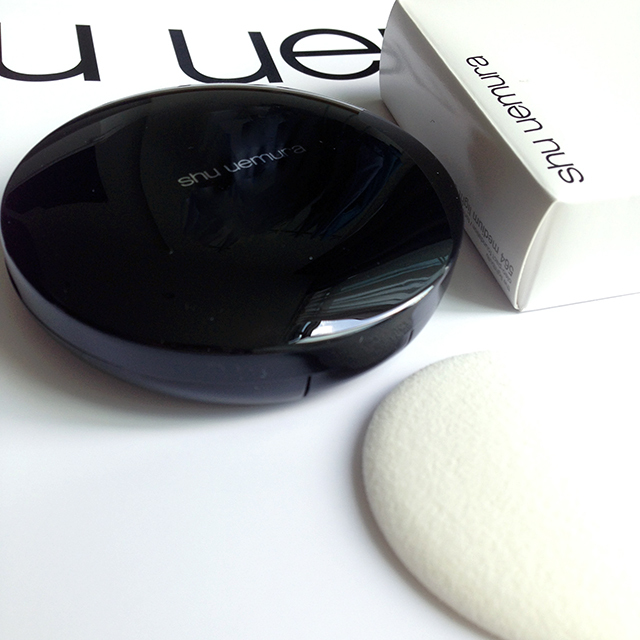 Ladies, let me introduce you to the new Shu Uemura Petal Skin Foundation! Happy Monday!! How was your weekend? I managed to get some much-needed sleep, but somehow, the more I sleep the more deprived I feel! Guess the sleep-debt is finally catching up! 🙁 Anyhow, I am ploughing my way through all the new “Western” cushions, and have a very interesting one to share with you today! It is interesting from several aspects, not least of all the fact that this is the first “Japanese” brand to release a very Korea-inspired product! I was reminded of a conversation I had with another blogger friend recently about how I don’t think we would ever see a Japanese brand release a cushion because it just seemed politically incorrect. Also, lots of my Instagram friends have been asking me for a review, so here we are today with Shu Uemura’s latest Blanc:Chroma Brightening UV Cushion Foundation! The trend towards lightweight, skin-like makeup is still very much in vogue, and this summer, Shu Uemura has the perfect solution for beating the heat whilst keeping the makeup intact. The new Skin:Fit Cosmetic Water Foundation promises to keep your complexion looking fresh for 12 hours and remains lightweight and breathable throughout! Last Fall, Shu Uemura changed the way we viewed glow on our faces with the revolutionary Lightbulb Foundation (reviewed here). Together with its bespoke sponge, Shu Uemura had introduced into our consciousness the ideal of coverage and glow without excessive sheen. And this September, the innovative Japanese beauty brand completes the Lightbulb family with a cream compact foundation – the Lightbulb Oleo-Pact. The new Oleo-Pact leverages Shu Uemura’s existing lightbulb™ oleo-technology for glow and coverage, and uses a new jellified oil complex, to create a cream compact foundation that gives a glowy satin finish. Skin is dressed in a three-dimensional glow without falling overly matte nor becoming too dewy all over. It is formulated with conditioning oils with no water added, to melt into the skin with a lightweight ease. Coverage is medium, but buildable to cover up most imperfections. As with previous members of the Lightbulb family, the new Oleo-Pact comes with its own unique dome-shaped sponge. Inspired by techniques used by make-up artists, the Oleo-Pact sponge is rounded all over, without any edges or corners to ensure complete streak-free finish. It is 10mm at its thickest in the middle, and thins out to around 3mm around the rim of the sponge. I generally avoid using makeup tools that come bundled with products as I usually find my own brushes to be gentler and more effective. Therefore, I was pleasantly surprised to find that the included sponge really was the perfect tool for applying the Lightbulb Oleo-Pact! 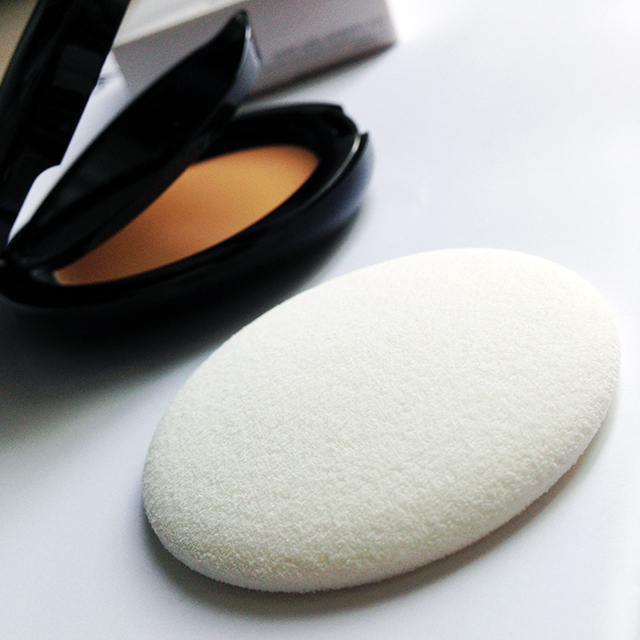 Simply swipe the sponge against the foundation pan, and then sweep it against the skin. The domed-shape sponge allows the cream foundation to glide evenly across the skin, without the need to repeat with multiple strokes to blend things out. This greatly reduces streaking, and is kinder on the skin. Interestingly, I found it quite difficult to pick up with a fluffy foundation brush (e.g. Koyudo BP013) directly from the pan which is my weapon of choice with other cream compact foundations (e.g. NARS Radiant Cream Compact and Cle de Peau Beaute Cream Compact Foundation). Shu Uemura Lightbulb Oleo-Pact Foundation was perfectly comfortable to wear, and gave a beautiful satin finish that did not cling to flaking skin nor emphasize pores. The only downside was that as a cream product, it was not as long lasting as the liquid version, and tended to slide after about 6 hours even with primer. But as a compact, it is easy to bring along for touch-ups as needed. Shu Uemura Lightbulb Oleo-Pact Foundation will be available for sale in September. Hi my lovelies! I’ve been running around in HK the past 3 days on a whirlwind business trip, and tried to load up on shopping every spare minute I have. It’s in between Fall and Holiday seasons at the moment (except our dear highly anticipated Tom Ford Fall 2013 just hit stores and was snapped up within hours! ), and what is new in the market? This time last year, we saw a whole slew of “naked skin”, dewy foundations. And as fickle and herd-ish as the beauty industry is prone to, this year is all about matte, full coverage foundations! Over the next week or so, I’ll be reviewing some of the latest in the market, including Giorgio Armani Maestro Cream Compact Foundation, YSL Serum Foundation, NARS Radiant Cream Compact, etc! 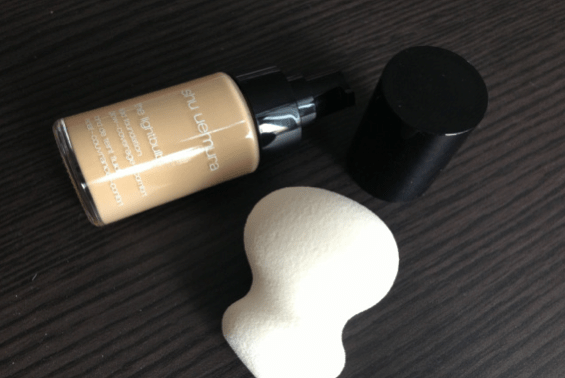 But for today, a quick word on Shu Uemura Lightbulb Foundation! I LOVE SHU UEMURA THE LIGHTBULB FOUNDATION!!! I’m not going to bore you with the technical breakthroughs that went into the Lightbulb. By now, you must have heard a million iterations about how it took 4 days to handcraft the bespoke sponge, and how the dual ends are shaped to replicate 2 different brush tips, yada yada. The reality is, i’ve seen this sponge before. No, i’m not talking about the Beauty Blender. But Too Cool for School’s Pudding Aqua Shaking BB during my trip to Korea almost 2 years ago (btw, TCFS can now be found at Far East Plaza!)! My obsession is clearly not with the sponge. But the formula of the foundation itself. It is a nice, fluid texture that blends easily enough. Granted, a sponge will probably give you a more even coverage, but you can achieve the same results using a good buffing brush. It offers medium to full overage, whilst feeling incredibly light on the face. My biggest worry when I heard it gives a glowy finish was that it’ll make me look too shiny and oily. Not to worry at all! Lightbulb makes you GLOW, without going the (what is now considered) old-fashioned way of DEWY. Yes, you CAN look velvety matte AND glow! I’m not going to cheat you with heavily photoshopped pictures (and also because I really can’t seem to get a good picture that does the lightbulb justice), just go get a sample and experience it for yourself! Finally as you all know, the biggest test for me is a foundation needs to outlast my long days… and Lightbulb does! For the 1 week that I tested it out, I had pretty much forgotten to touch up with powder as I really didn’t see the need to! I’m flying home tomorrow with a bag full of Tom Ford and YSL and everything else. Can’t wait to hold my darling little baby in my arms again! And I promise I’ll be back with more reviews afterwards! Meantime, feast your eyes on my haul via Instagram if you’d like!